Enescu, Debussy and Romanian Folk Fiddling at Seattle Public Library- FREE CONCERT! You are warmly invited to attend "Enescu, Debussy and Romanian Folk Fiddling" an extraordinary recital performed by The Romanian American Chamber Concerts & Arts -ROCCA Artistic Director, pianist Oana Rusu Tomai and violinist Karen Bentley Pollick, in collaboration with the Seattle Public Library. At the core of the recital is Sonata no.3 George Enescu for Violin and Piano" 'in Romanian folk character', one of the most phenomenal masterpieces of the 20th century, a piece that inspires great enthusiasm in audiences across the globe. 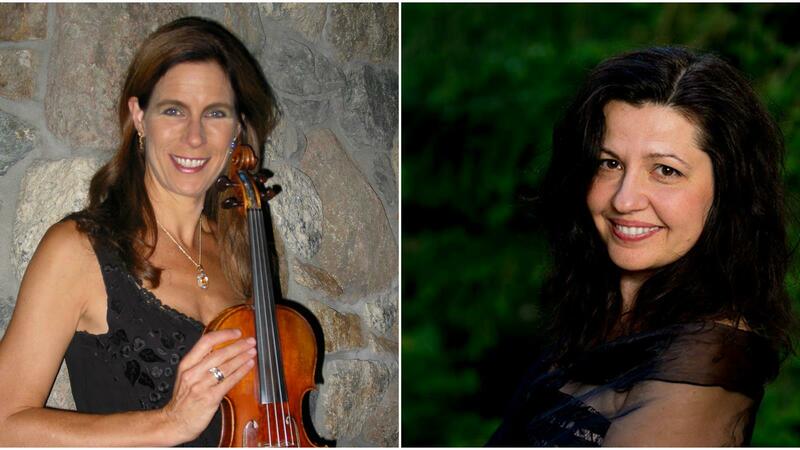 The program includes the spirited, sparkly, moods hopping Debussy "Sonata for Violin and Piano"! The recital will end with a surprise... we will give you a hint! Would you like to hear fiery Romanian folk songs in the style of lautari (or Romanian folk fiddlers) arranged for violin and piano? These folk pieces might just as well become your new favorites. Come in, sit where you like, FREE concert!